I was reading about the C-type Jag 023. 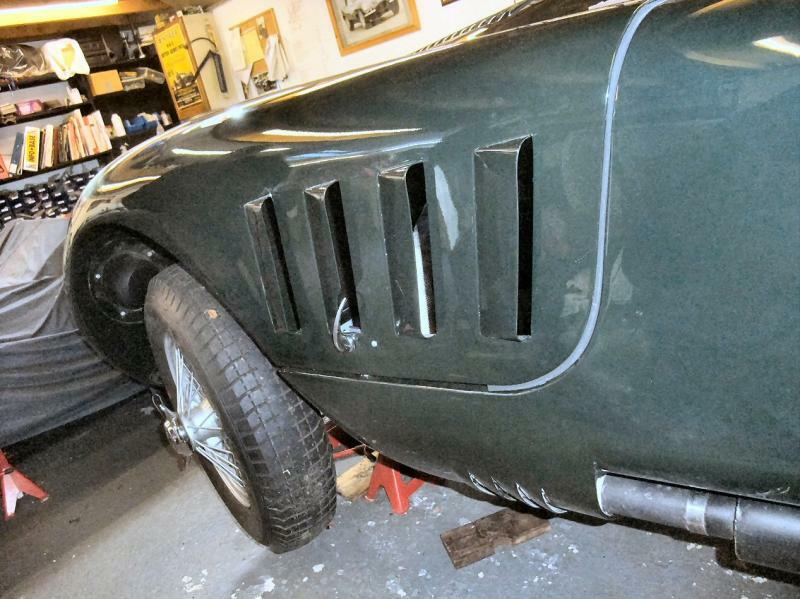 At first I thought the story was simple, that a fellow bought a Devin bodied kit car that had a frame from the real 023 C-type. 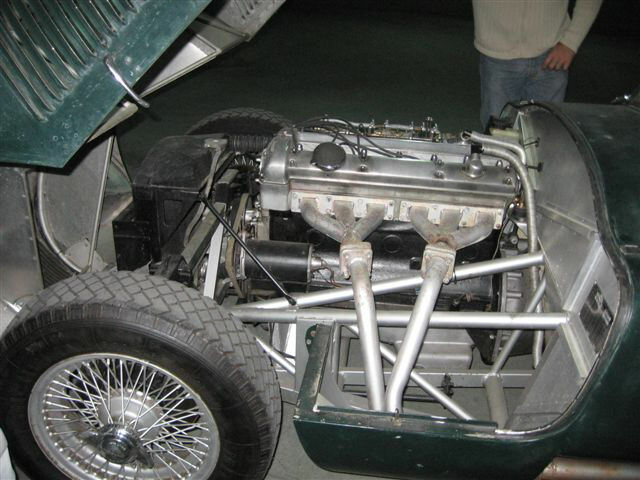 Then he found an Englishman had built a kit C-type using the same chassis number because his car had some parts from the real car. 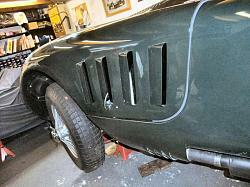 That was eventually resolved by the C-type owner buying the kit car. But now I read in Keith Martin's Jaguar book that a German natinal with a replica, also bearing some parts from the original car, went so far as to register his car with Jaguar's Classic Car Registry and even enter his car in a Mille Miglia re-creation. I was wondering how, since this occured several years ago, it all turned out? Which one is recognized as the real XKC 023, the one belonging to Mr. Jenny of Switzerland or the one in Germany? interesting question - anyone able to answer this tidbit of Jag history? Not the first time this sort of thing has happened. There has been a "D-Type" for sale in Switzerland for a while that's been registered as XKD525, even though that car was destroyed years ago. 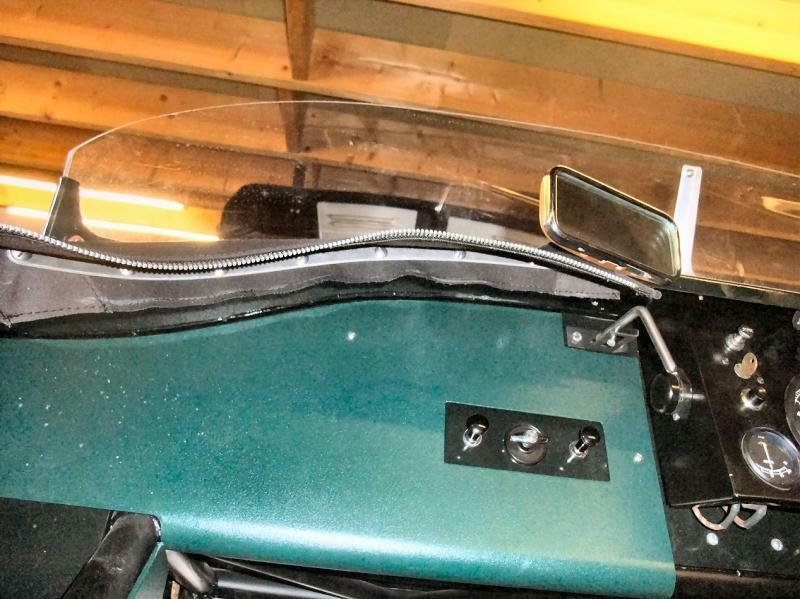 I was talking with my old mechanic just before I left Switzerland, he has a collection of build plates in a safe in his office, XK120's, XK140's, XK150's, and a few others, the build plates are the trick to these replicas getting passed off as the real thing. 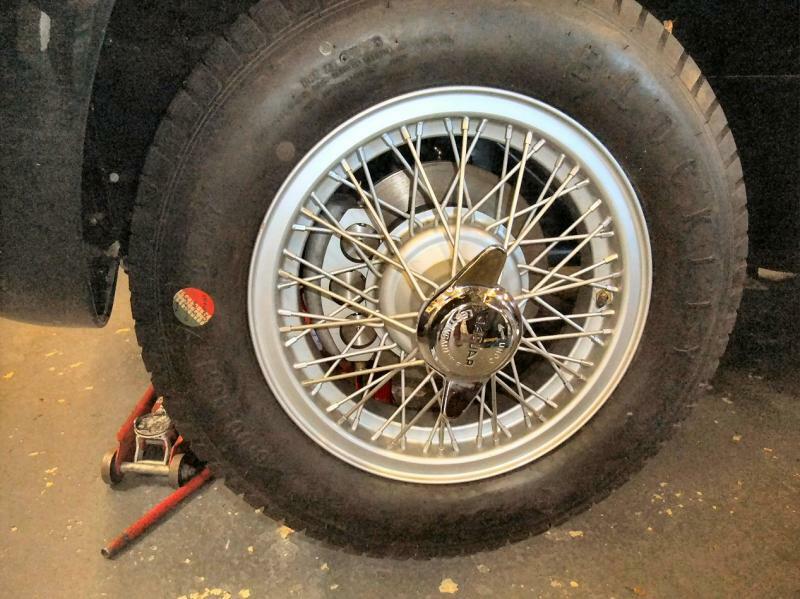 C-Types are also considered as 120s. 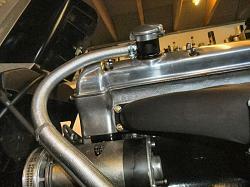 Most auctions list them as C-Type 120, as drive train derived from 120C. Apparently there were 3 C Types with the XKC-023 designation. 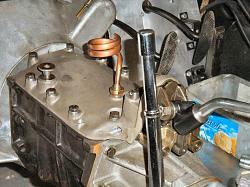 At the time, the cylinder heads were stamped with the chassis number. This became the engine number. California titled cars by the engine number. So, the stories I have go like this. The original car was wrecked. This bore the chassis number on the post above the RF shock. 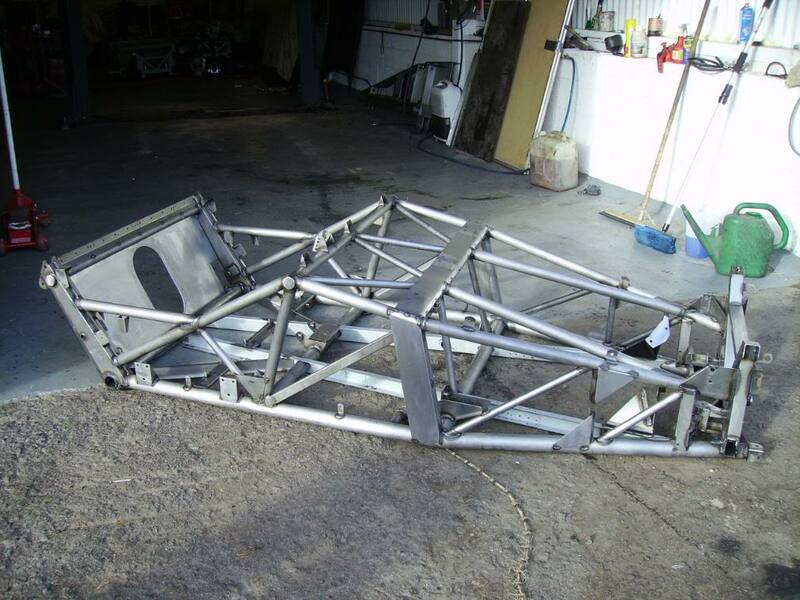 The owner bought a replacement chassis from Jaguar. This was used to "restore" the car. Meanwhile the engine was separated from the chassis, or both chassis's. 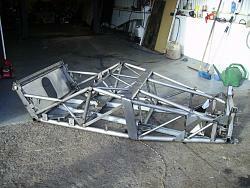 Jimmy Dale of Toronto built a car using the factory frame. He acquired many other original parts. 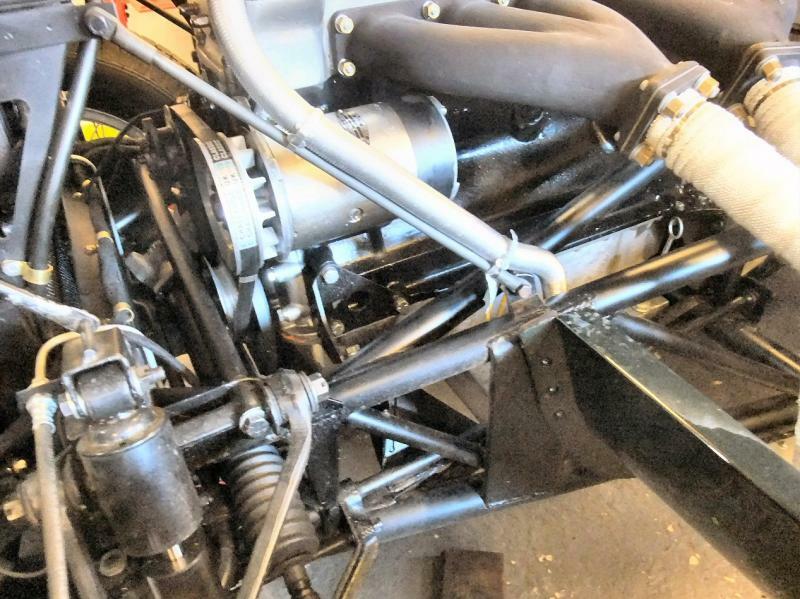 Someone else preserved the original upper shock mount and built or repaired a chassis around it, using original frame parts as possible. By the accepted definition, this became the original car. Then someone else built a car using the original cylinder head and registered it in California. Just a few years ago (maybe 2 or 3), Terry Larson, the author of the C Type Register and the owner a shop specializing in competition Jaguars, managed to acquire all 3 cars. He used as many original parts as possible to restore the original XKC-023. He used left over parts to restore the Jimmy Dale car as a replica and sold it as such. I don't know anything else about the 3rd car but if the engine was original, it would have been restored to the original, repaired frame. So now we have one proper XKC-023 and a pretty decent replica with a factory original frame! "Not the first time this sort of thing has happened. There has been a "D-Type" for sale in Switzerland for a while that's been registered as XKD525, even though that car was destroyed years ago. I was talking with my old mechanic just before I left Switzerland, he has a collection of build plates in a safe in his office, XK120's, XK140's, XK150's, and a few others, the build plates are the trick to these replicas getting passed off as the real thing." The quantity of competition Jaguars is quite limited. Very few have been lost or destroyed, and this is documented. The real trick to posing as original is the provenance. Terry Larson, the author of the C Type Registry, and the JDHT group track all of these cars. A person who would spend several million dollars purchasing one of these cars without evaluating the provenance is missing something, in my opinion. I would add that I've looked at a lot of replicas of C Types and none look particularly original. Again, if the person who is prepared to drop several million dollars into a car and doesn't take the time to learn what an original car looks like is missing something, again in my opinion. XKC 023 was sold to Hornberg new in the USA, and to cut a long story short is now the property of Christian Jenny in Switzerland and has been for some years. AFAIK it was the only C-type originally painted in red. 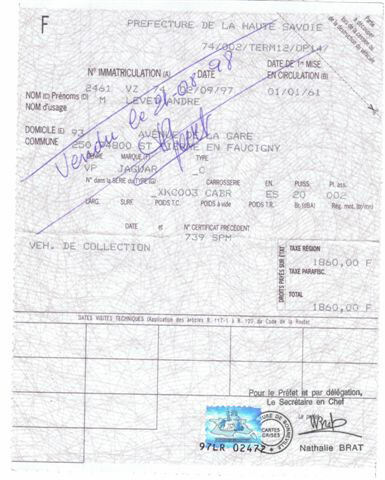 It seems that this is being confused with chassis XKC 003 which "turned up" a while back also in Switzerland. it turned out to be but a Proteus. See attached photos - if I can get them to work. However, since XKC 003 has not existed since 1953, a true copy has been built. If anyone wants to see photos I'll put them up. She is very different in construction to a standard C-type, especially the chassis. Lowdrag - yes please post the pics - I'm always one for a Jaguar history lesson!!! 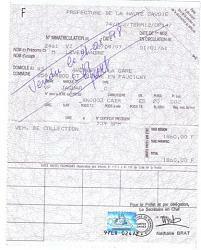 Not a prayer without supporting paperwork such as a heritage certificate from the JDHT. 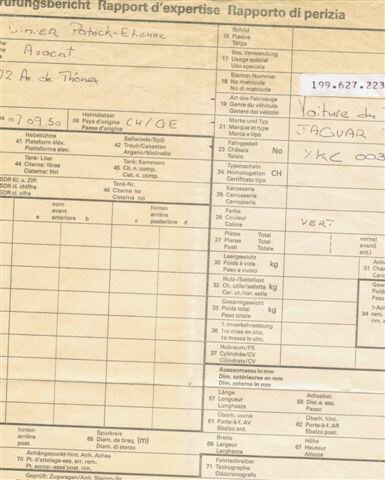 In the UK the vehicle, to get its registration back, is now examined by a government agency to verify that it is the original car for example. XKD 525 is now only one car. I have a photo of the two, each with some parts of the original, side by side. one was sold off as a replica in the end. XKC-022 was originally "red" It was actually an orange tinted red. XKC-034 was also the same color. Is XKC-022 still red? According to coventryracers.com XKC-034 is now BRG and I dug up this photo of it from 2000 'au naturel' - seems odd that the roundels are on a bare aluminium body. Does anybody know if there a list anywhere of the original colours of the C Types? Yes, if you buy "The C-type Register" written by Terry Larson. It is obviously out of date since it was published in 2001 and cars have changed hands since, but XKC 022 was originally red when sold to Hoffman's of New York and the last owner in 2001 was David Rubin. XKC 034 was originally BRG ad at one time ended up in the same hands as 022. It is noted that "a long term restoration was finished in 1996". Current color of XKC-034 is indeed BRG. It is very pretty. During an extended period of time, probably over 20 years, while undergoing restoration 34 was shown as an item of interest at a number of shows. Therefore the "roundels" were applied. This makes a little sense. XKC-022 had it's paint stripped in 1963 in order to assess body damage and perform minor repairs. 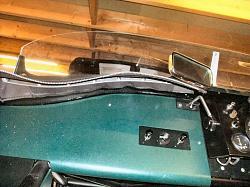 Paint was not stripped on the panel under the spare tire access panel. Paint has never been reapplied. The panel that was not stripped is still red, but there are at least a couple of layers of red paint present. The Terry Larson registry is still a very useful book and is often seen at moderate prices. He is working on an update but it seems like changes are occurring at a rapid rate, which could be quite a challenge to address. Now my car was a copy of XKC 002, but here we are talking of of XKC 003. 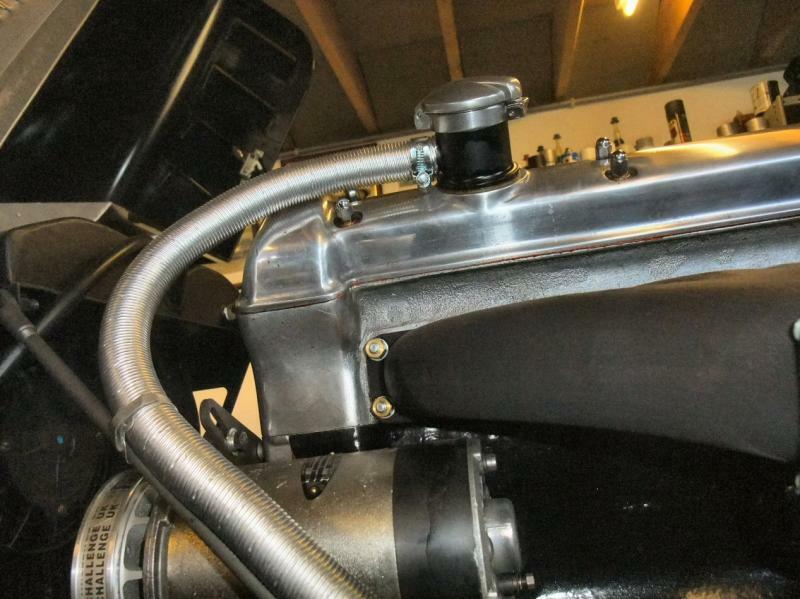 One number apart, but - and a very big but - were the chassis so different or did I make a blunder? 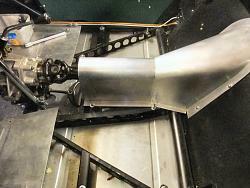 Here you see a photo of the cockpit chassis of XKC 003, and it isn't tubular, but airframe construction for lightness. Should my car have been the same? I had substantial advice from two surviving drivers, so I feel not, but time passes. Is Jerry right in his reconstruction of 003? Personally I'll give him the benefit of the doubt and think I was wrong. He made such an effort and found material I never had access to. So, you say, just a 54 spoke alloy rimmed wheel and no different to the usual. Wrong! 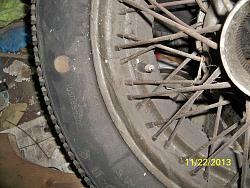 If you take a second look there are no "pimples" where the spokes enter the rim. That's how they were at first until they entered into production and things changed. If you can't spot the difference here you are all blind or don't know your Jaguars at all. 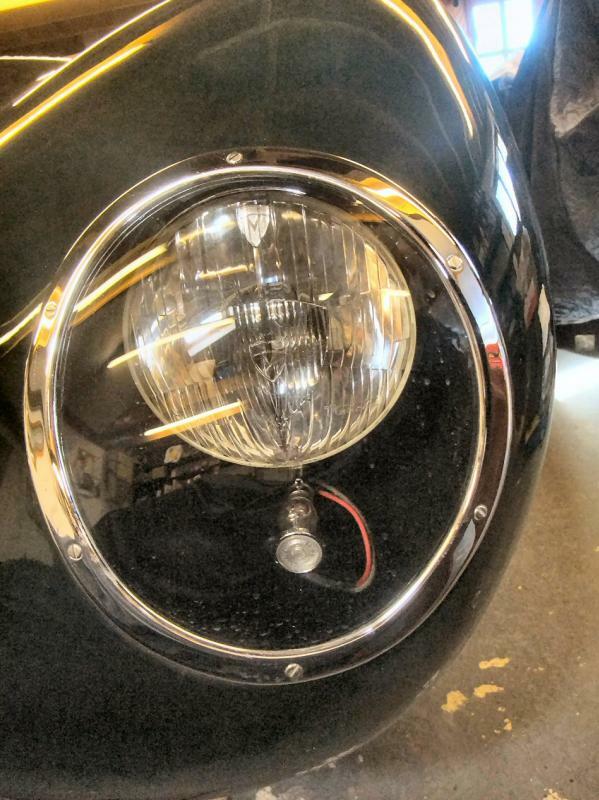 The car had chrome bezels on the lights, something that was dropped on production cars and has shades of the E-type even in 1951. Four louvres only. On the #17 in 1952 Stirling's (as he was then) car even had louvres in the door to aid cooling. I see and hear from so many people who seem to think they know Jaguars from A-Z, but I am posting here just to perpetuate the reality of what was in the day, not as modern day thinking thought it should be. I am getting old, and I don't want such knowledge to slip away. Your edit feature isn't that bright - or so it seems to me. Above you will see the same photo twice. Here is the other photo I meant to show. The very early XK gearbox breather. Resembles a still I know not far from here! Your edit feature isn't that bright - or so it seems to me. Above you will see the same photo twice. The air valve on the wheel shown above is in the wrong place. 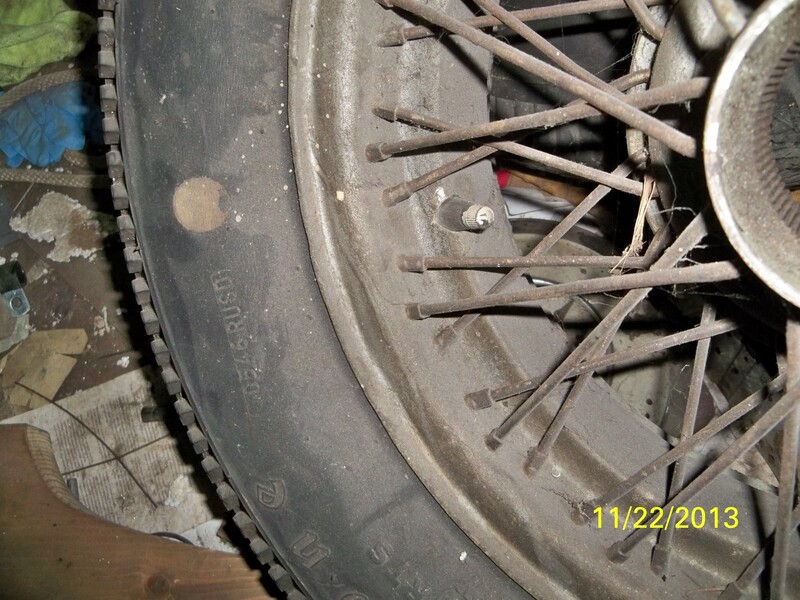 Here is a picture of an original C Type wheel, obviously requiring cleanup or restoration. Terry Larson has published an update to his original C Type register. 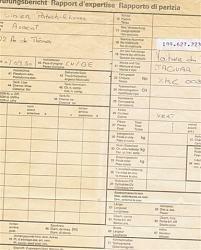 It contains more detailed information than the original register. The issues associated with XKC-023 are fully detailed in the new book. It was released in September, 2014. The ISBN number is 978-87-997714-0-0. For the curious, there is also interesting history associated with XKC-034. Great photos of your build thanks Lowdrag. Do you have more? Ever since I first saw a c-type I've wanted to build one. Like you I'll never afford a real one and I can't even afford a commercial replica. I started taking courses on restoration and panelbeating, but getting plans is proving elusive. You would think that with the C-Type out of copyright that copies of plans would be available on every street corner, but the commercial replica guys who have them keep them very close to their chests. I've approached several, but they won't cooperate. Can you point me to any good information, plans, detailed measurements & drawings? Quick Reply: "C-type? where is category? I'll put question here.